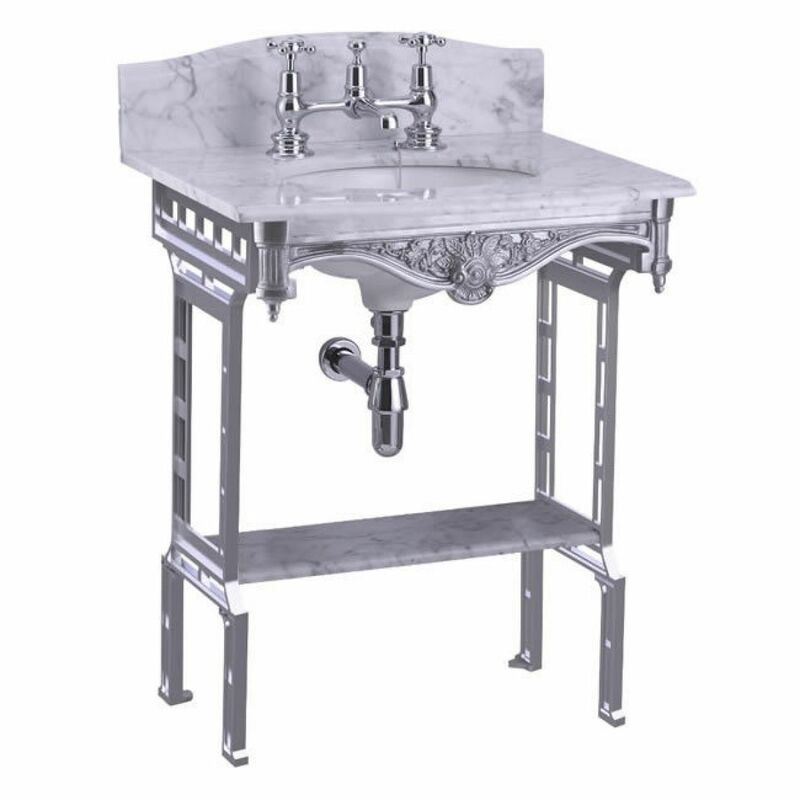 The Margavine Georgian basin comprises of a slab of Carrara marble, flat top countertop section, with a single backsplash. 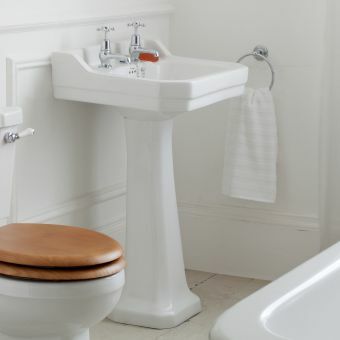 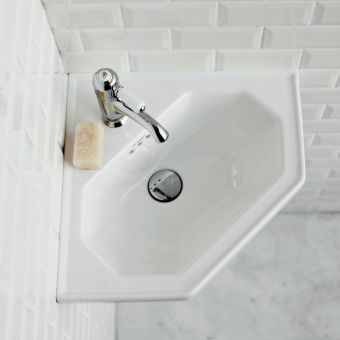 The basin bowl is pre-fitted to the underside with a watertight factory fitted seal. 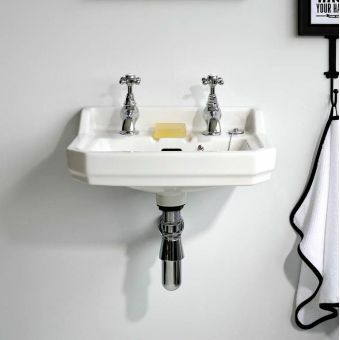 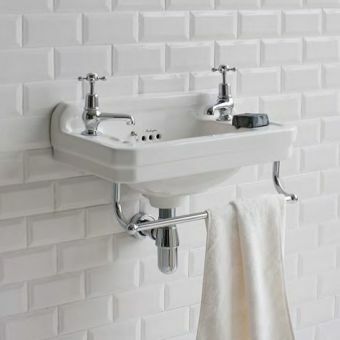 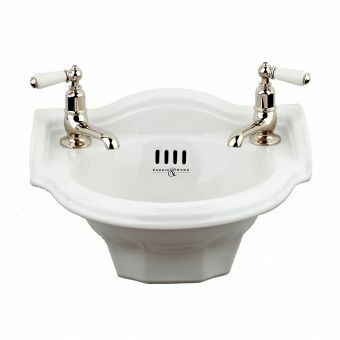 The basin is available for 1, 2 or 3 tap holes for pairing with a variety of Burlington basin taps and mixers. 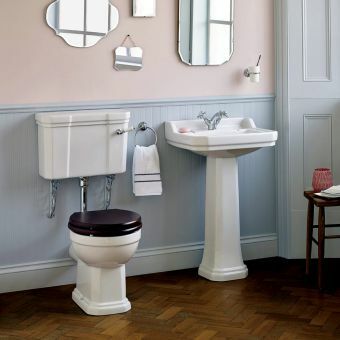 A basin waste will be required in addition, a bottle trap can be purchased to fit to the underside of the bowl to complete the look. 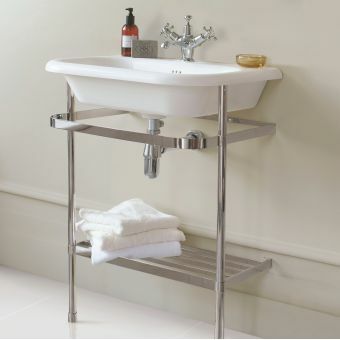 The washstands are decorative having an ornate section to the front and an overall embellished design for an authentic traditional bathroom feel. 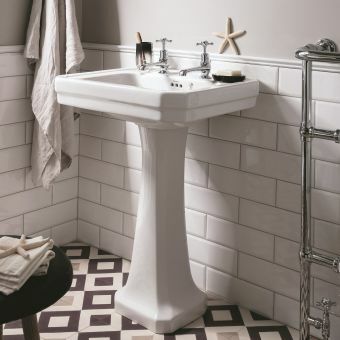 Choose from industrial black, clean and crisp white, or timeless adaptable aluminium to create various different bathroom looks.